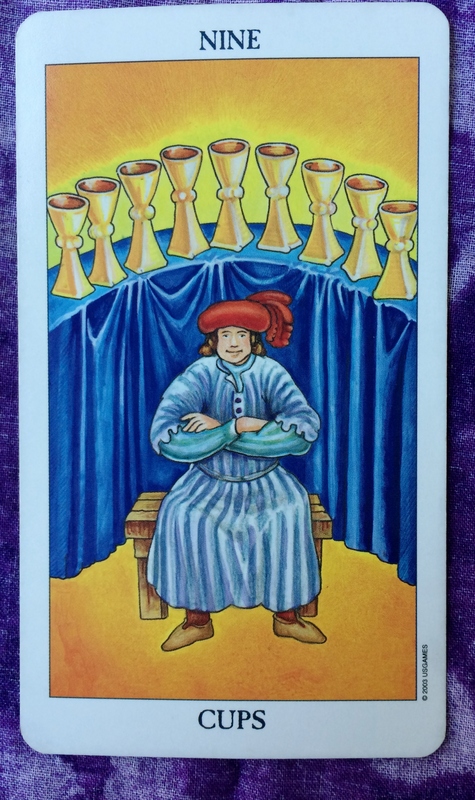 The Tarot card for today, Saturday, and Sunday is the Nine of Cups. Emotional satisfaction is indicated here. How does it feel? It must be a relief, especially if you have been doing the emotional/spiritual work necessary to get to this point. As we come to the end of the calendar year, enjoy this sense of fulfillment to the utmost. Lots of food and drink is one way to do it; another way is to be completely present in the moment knowing that you deserve every bit of the happiness you achieved.